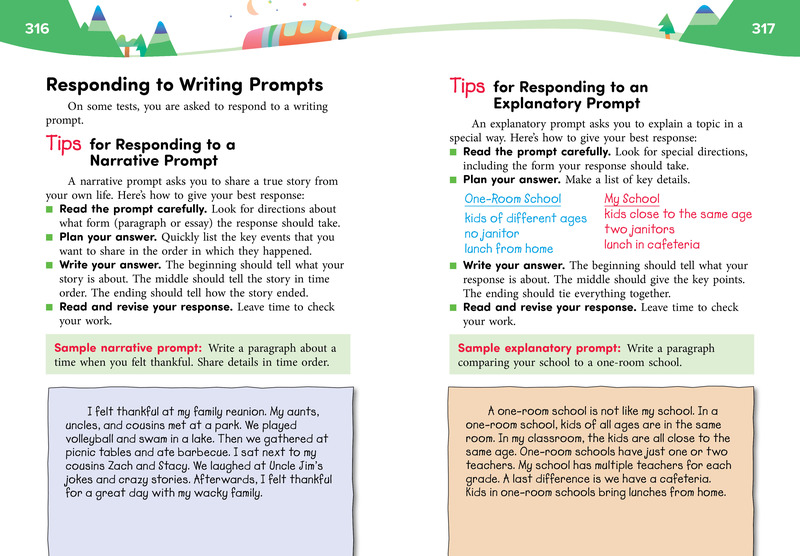 Write on Track is a writing handbook for students in grade 3. You'll find guidelines, models, checklists, tips, and much more. Write on Track also helps students become better readers, test takers, and learners. The handbook has five main parts. The Process of Writing helps your students learn all about writing, from using the writing process to understanding the qualities of good writing. The Forms of Writing section provides guidelines and models for every form of writing. 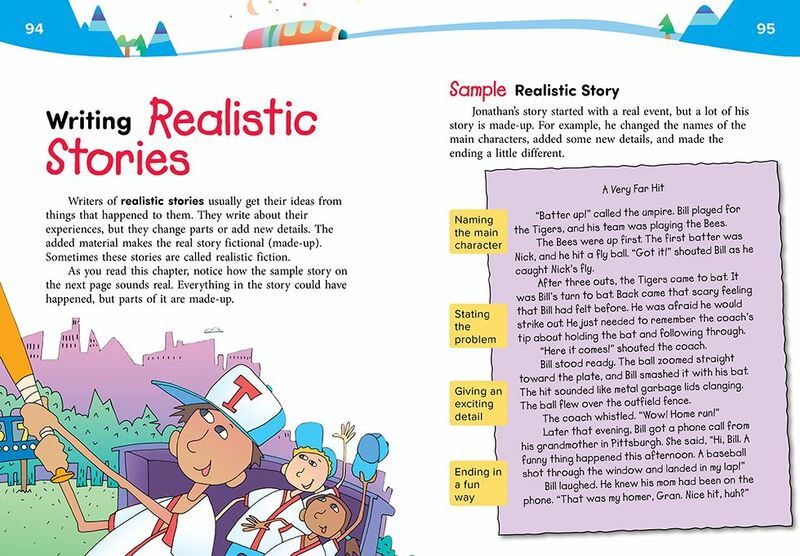 Would you like your students to write in journals or create time-travel fantasies? Would you like them to write essays or news stories? Check out this section. The Tools of Learning section helps your students improve skills in reading, speaking, test taking, and using technology. 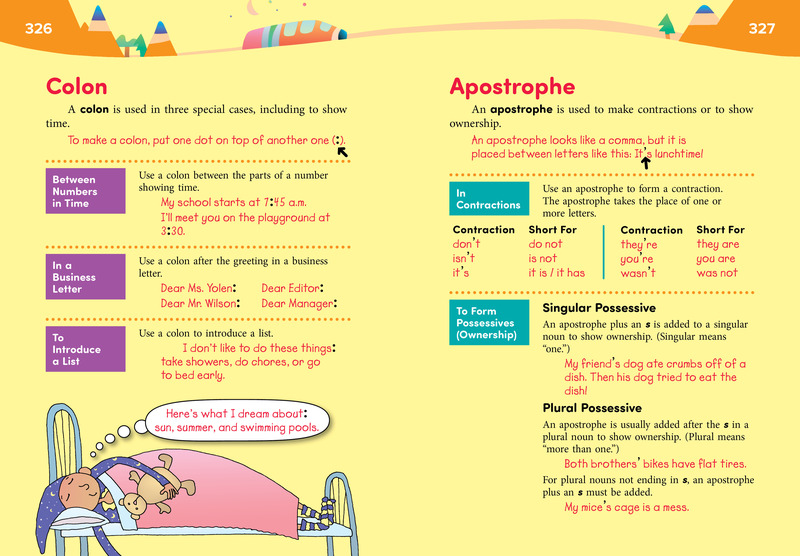 The Proofreader’s Guide includes rules and examples to help students with punctuation, spelling, mechanics, usage, and grammar. 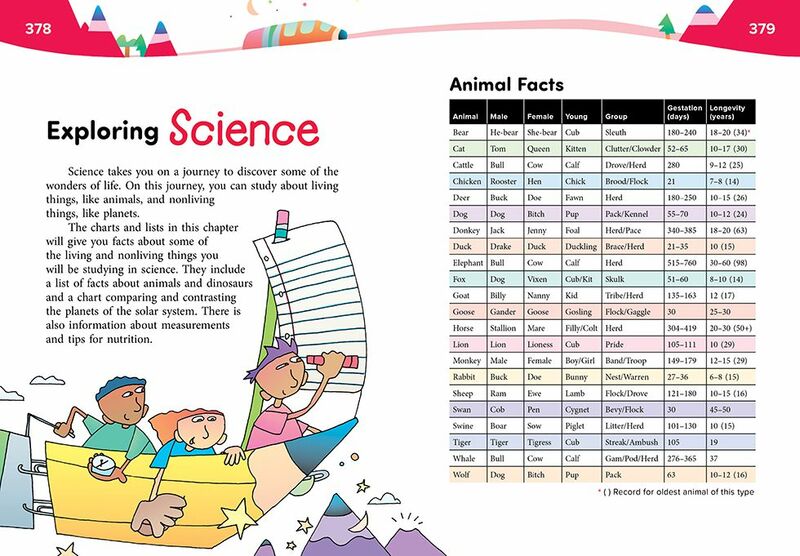 The Student Almanac supports writing across the curriculum with fascinating science facts, helpful math tips, colorful maps, and much more! A free online Write on Track Teacher's Guide walks you through the student handbook, giving advice for using each page in your classroom. You'll also find free document downloads, related minilessons, additional student models, additional writing topics, videos, and more. And the Teacher's Guide correlates every page to the Common Core State Standards, connecting you to even more resources. Also, check out the Write on Track SkillsBook, teaching punctuation, capitalization, mechanics, usage, spelling, and grammar. Write on Track . . .
uses colorful art to catch students' eyes and an encouraging voice to keep them reading. teaches all modes of writing: personal, narrative, explanatory, persuasive (argument), literary, research, creative, and assessment. 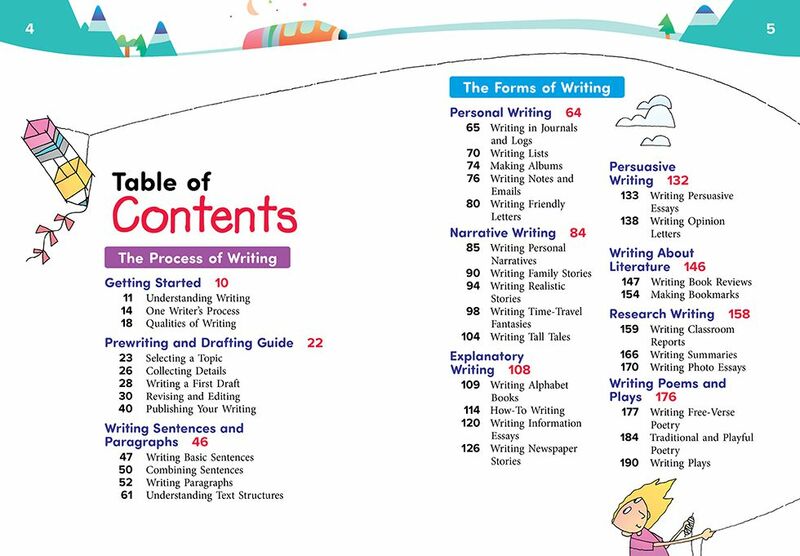 includes high-interest student models and guidelines to help students create similar writing. aligns with the new standards, providing close-reading and on-demand writing strategies. 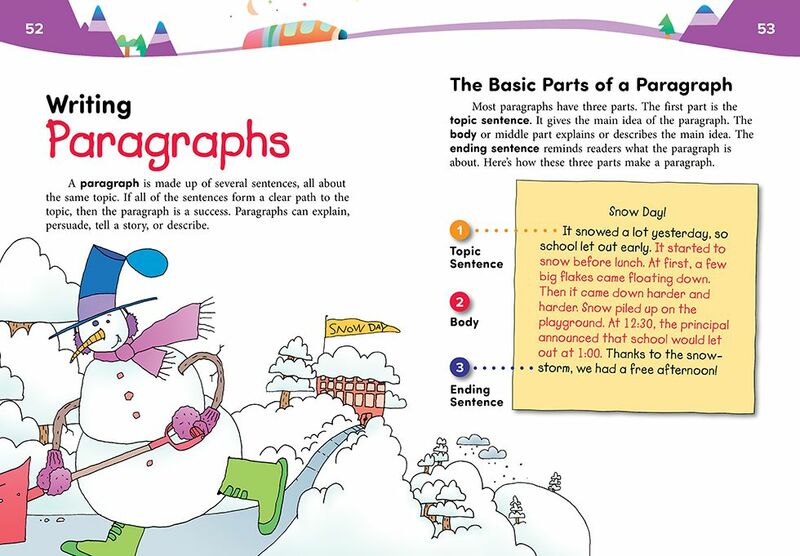 helps student write well across the curriculum. helps students develop learning skills: reading, spelling, speaking, viewing, listening, thinking, studying, collaborating, taking tests, and using technology.